It’s Friday people. Hopefully it is time for you to do whatever the hell you want to do, for the next two days 🙂 . For me, that will include a visit to this local winery, relaxing by the pool, a french toast breakfast and this cocktail. I’ve tried this drink with several different sodas and so far, Trader Joe’s Italian Grapefruit Soda and Izze’s Grapefruit Soda are my favorite. The drink isn’t too-too sweet but if you wanted to cut down on the sweetness, you could leave out the St. Germain. Regretfully, if you do that you will also miss out on elderberries. 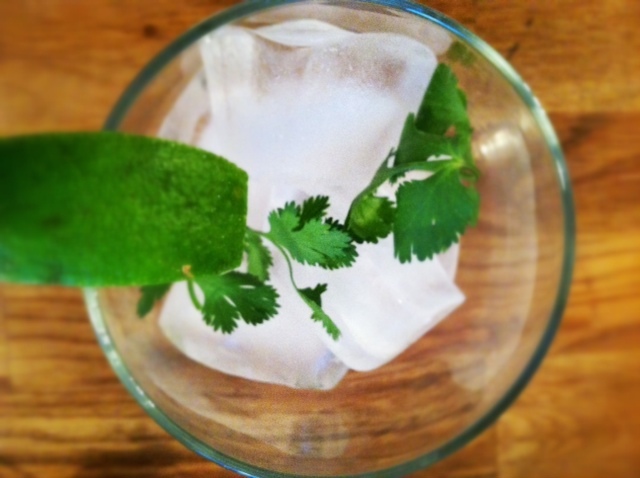 It might sound strange to use cilantro in a drink but it adds a nice fresh flavor and I like to think this drink goes well with the meals I cook that have Mexican or Thai flare. 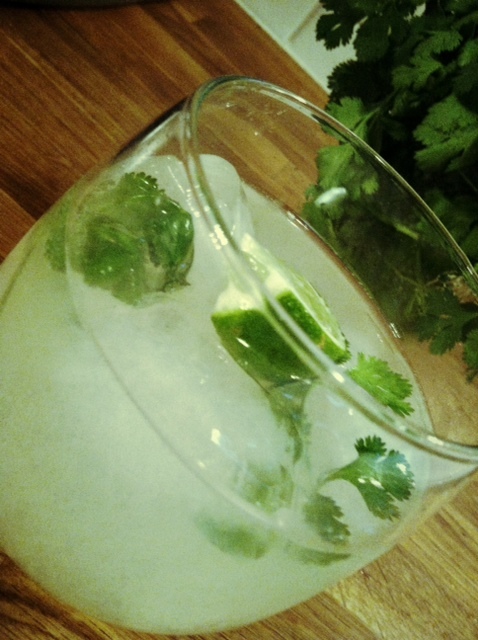 It’s really refreshing and great for summer. 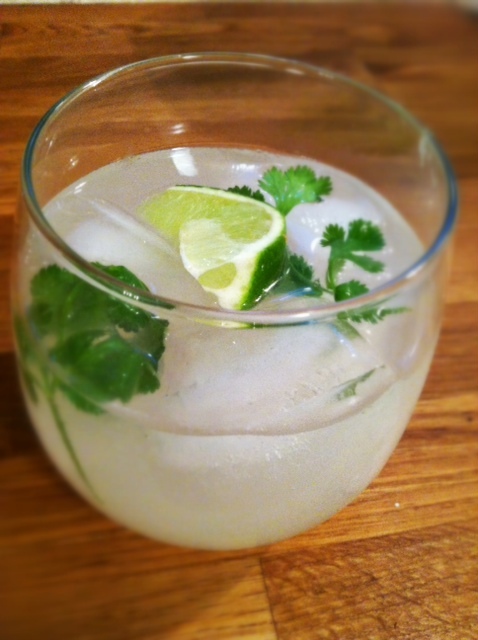 Combine ice, one lime wedge and cilantro in a stemless wine glass or short tumbler. Swirl to gently muddle. 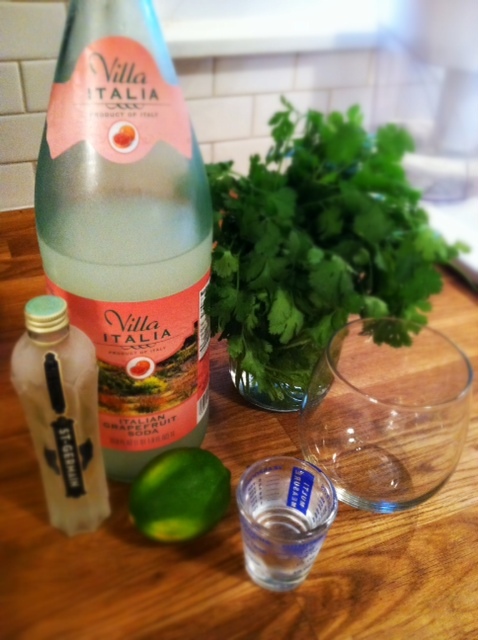 Add vodka, st germain and additional lime. Top with soda and stir.